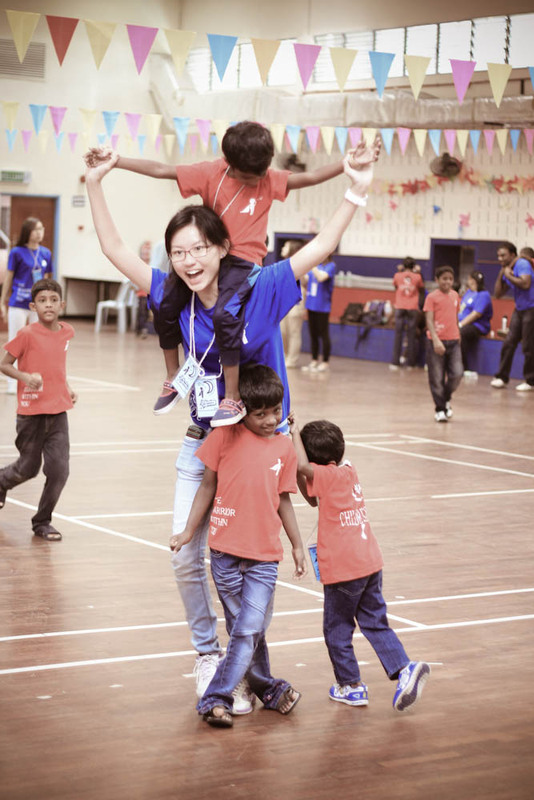 An annual event in its ninth instalment, the Camp was set up at INTI IU’s Sports Hall and involved children from Rumah Zotung, House of Joy, Kids Home, Precious Home, and Rumah Vivekenanda. For three days and two nights, each child had a student of the university as his or her facilitator. In line with the theme of this year’s camp – ‘The Warrior Within You’ – the children and facilitators, divided into groups, were first tasked with coming up with their group name and logo with reference to popular superheroes. This was followed by a treasure hunt which tested the children’s problem-solving abilities in piecing together the clues they had acquired. The children also took part in outdoor station games which had them exploring various locations within campus to complete various games. Planning and preparing for their performances in an after-dinner talent show took time and effort but was worthwhile as the children really shone in singing, dancing, and even cat-walking once they took to the stage. There was a moment for reflection when the children and facilitators shared their thoughts and feelings about their time spent together. The icing on the cake was a mass celebration of not only the children’s birthdays but also the birthdays of the student volunteers. “It was fun for both the children and those of us who volunteered as facilitators. At the same time, it got me thinking about life and all the hardships that the kids faced at their tender age. I’m glad that the organizing committee did a good job in making them feel loved and welcomed while giving them the opportunity to shine,” said Omana Dhareshini, a first-time volunteer. “I am touched that some of the kids who also attended previous camps actually recognized me. Many of the committee members were facilitators before and the kids recognized them as well. This is one of the things which motivate us to keep this event going as we are making a difference in their lives,” said Tan Yi Shan, who cherishes her experience as both facilitator and committee member. 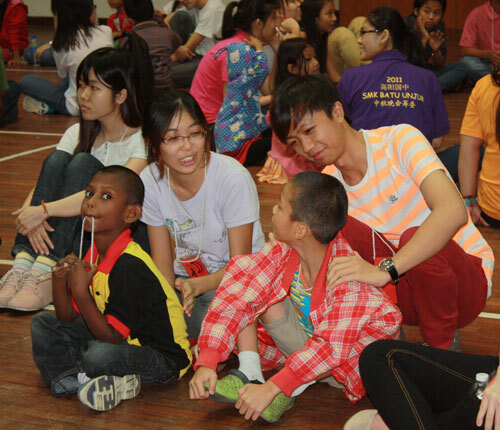 INTI’s students have numerous opportunities to develop their talents and pursue their passion for community service. With strong support from faculty, students are given proper guidance in realizing their various initiatives to help the local community. Coupled with the right academic delivery and readily available cutting-edge facilities, students are able to further enhance their learning experience by translating classroom activities into real life initiatives. These lead to their gaining firsthand experience in event management, communication strategies and leadership development. Chief among the sources of inspiration for INTI’s students for community service and social responsibility is President Bill Clinton, who serves as the Honorary Chancellor of the Laureate International Universities network, a role in which he offers advice on social responsibility, youth leadership and increasing access to higher education. In his 2010 visit to INTI IU, he addressed more than 1,000 students and invited guests and inspired many others. Since then, INTI’s students have participated in global events such as the Clinton Global Initiative University, which brings together students from all over the world to serve the community.